Sadly, I must admit, I’m a Nature Journal dropout. I’ve tried. Oh, how I’ve tried. But, I always end up feeling bogged down by it. I’m inspired by books like Karen Andreola’s Pocketful of Pinecones (listen to last week’s podcast for more books like this that inspire me! ), and every year I buy the Charlotte Mason bundle from this online curriculum sale, but reading about nature journaling and actually doing it are two very different things. In addition to my current status as a city-dweller, there’s the fact that I have a lot of kids, and taking a lot of kids on a nature walk and then trying to get them to journal about the six bazillion naturey items they picked up is worse than herding cats – it’s like herding cats…out in nature…in a field…full of catnip. GAH! That’s when I decided nature didn’t have to be all organized in a notebook to be educational – it could be observed, played with, brought inside and put on display! A nature table isn’t some brilliant concept I came up with on my own. It’s a very Montessori/Waldorf Homeschooling thing, and being that I am a super-eclectic homeschooler, I tend to borrow from lots of methods and smoosh them altogether to create my own brand of homeschooling. I like it that way, and I can pretty much relate to every homeschool mom out there because of it…must be why God gave me a homeschooling blog! The “table” is a small antique washstand that sits in our front entryway. To protect the top, I laid down a dark green pillowcase we weren’t using, but you could use anything. I do recommend putting something down even if the surface isn’t something you cherish because nature can get dirty, and it’s nice to be able to simply fold up a piece of fabric and shake it out or launder it! If they pick up something I don’t recognize, I usually search for it on the internet and give them a quick rundown of what it is. We also own Anna Comstock’s Handbook of Nature Study. You might also notice the mobile hanging over the table. I ran across a similar idea for a nursery in a baby decor book, and I immediately thought of my Nature Table. The one in the book was WAY fancier, and at first glance was something I knew would require WAY too much work, BUT…you know me! 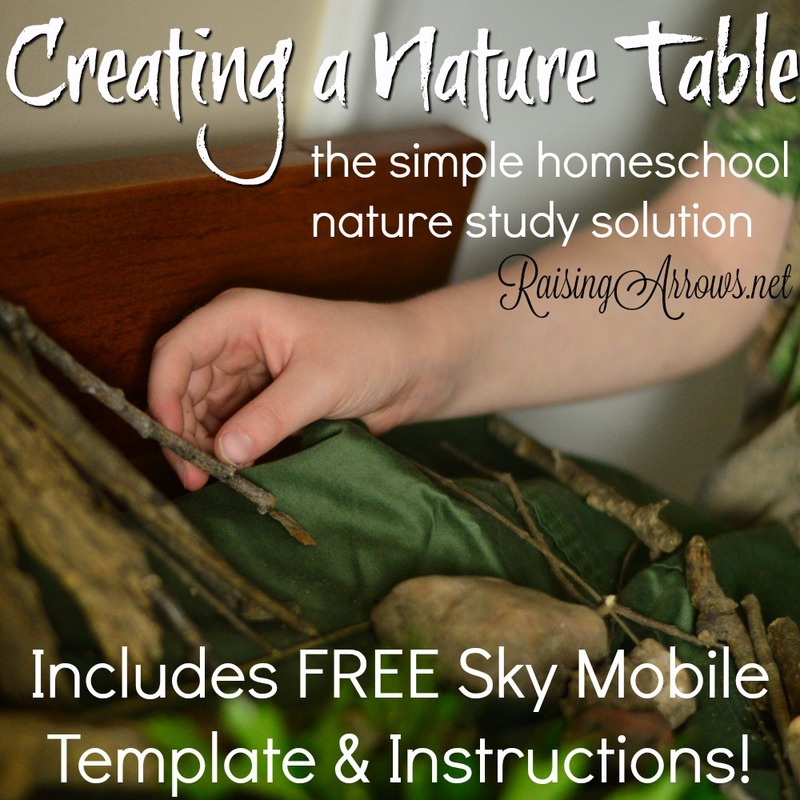 Tweak it, and you have a perfectly simply, perfectly acceptable Sky Mobile to accent your Nature Table! And because I want to keep your life as perfectly simply as possible, I’m giving you a template and instructions to make your very own Sky Mobile! Enter your name and address below, and it will come straight to your inbox so you can download it and get your kids to help you make it right this very minute! Love this! We do keep our own notebooks but go in spurts and use a Lot of packing tape, very little if any writing, some drawings or artwork, depends on the person… sometimes it’s just them remembering all the finds we saw on a walk and writing a list, sometimes with help. For myself, I like to make note in my planner when I’ve seen a new bird and identified it, crazy weather, first flowers of spring, etc. They also take a lot of pictures, some get added to our family album book every few years. They naturally want to bring their finds home into the house, so often we’ll display on the dining table or other flat surface in something I like to look at, a vase, an old glass dish, a pretty piece of fabric. We also have quite a collection of bug catching containers to watch prized live insects till dinnertime, some we watch complete their life cycle. All a part of looking for surprises and beauty in God’s creation and being refreshed by it. 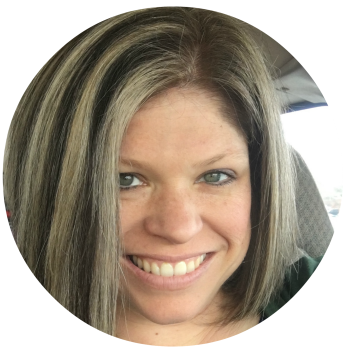 I love your blog Amy, you give me confidence to find my own way with homeschooling. I have implemented so many of your ideas and my household has become so much more simple and easy to manage, leaving me more time and energy for my little ones. Thank you, I find great value in your blog. Love it. Phew! I feel so much better about my own meagre efforts now. I like the idea of a nature table. My children often bring me flowers from the backyard or a walk they’ve been taking and I display them in tiny vases in my kitchen. Sometimes they last surprisingly long. We have a small backyard with no trees, so I will occasionally pick up a stick or some pinecones and bring them home to be played with in our yard. I like the idea of nature walks, but they are few in my house of many, too. Love this idea! We live in the country and still bring nature finds indoors! We’ve made very small creations like yours for a centerpiece at the table. Gives the kids something to study and enjoy while they eat. And one of our best things has been when our girls were given an aquarium….that became a terrarium! On our porch, we could temporarily keep all kinds of critters in it short term, fun for study and learning. Then release. They used it for everything from bugs and caterpillars and cocoons (watch them hatch!) to field mice. 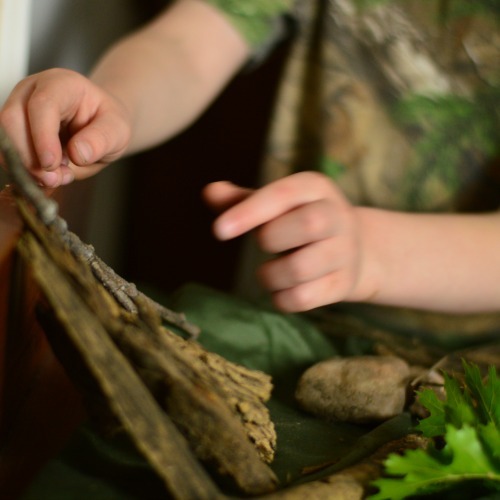 Wonderful nature tool for inquisitive kids. Love your idea and what a great way to do it! I like this. We do sporadic nature journaling, but nothing too formal. I know a family who went out and sketched the same twig on a tree every day for two months. I told her that was intense and she was my new hero, but her kids loved it. I have never gotten that kind of dedication for it from my kids! This.is.genius! I too am a nature journal dropout. It was just too much. But I love this idea! It’s extremely do-able!